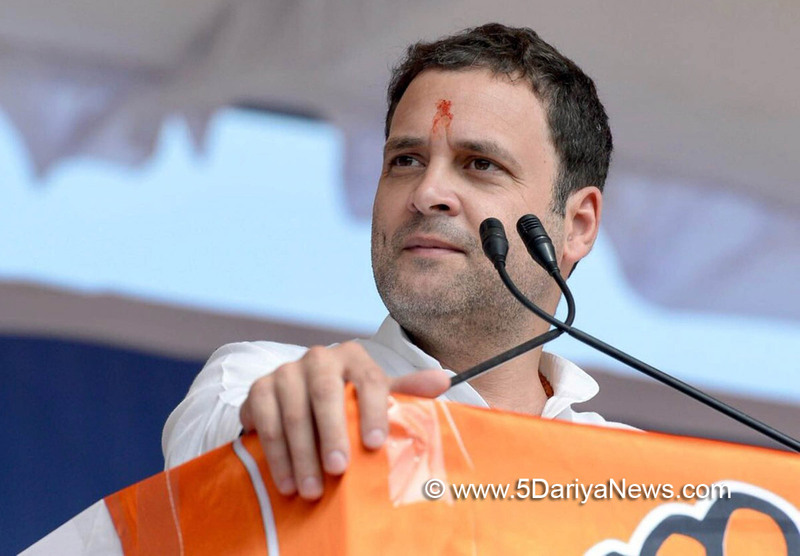 Congress President-elect Rahul Gandhi maintained he has not undergone any 'makeover' and accused the BJP of tarnishing his image.In an interview to Gujarati news channel GSTV, Rahul Gandhi also said the BJP is not scared of him but of the voice of the people of Gujarat. "There is no makeover; the truth of Rahul Gandhi was being distorted by BJP workers. I speak the truth and that truth is coming out," the Gandhi scion said.Talking about the Gujarat elections and his campaigning, Gandhi said the election is not about him or Prime Minister Narendra Modi, but about the people of Gujarat. "Who am I, I am just talking about Gujarat in the last three months. The election is not about Rahul Gandhi and Narendra Modi. It is about the people of Gujarat," he said. "They (BJP) are not scared of Rahul Gandhi, they are scared of the voice of the people of Gujarat. "Asked about the comments on the Nehru-Gandhi family, Rahul Gandhi said he did not feel any hatred for the Prime Minister, adding that Modi has helped him the most. "Modiji has helped me the most... How can I hate him," Rahul Gandhi said. "If you look at religion and the history of the nation, love has to be the response to hatred. There is zero emotion of anger and hatred in me," he said in response to a question on the comments made on the Nehru-Gandhi family. "It is the nature of our family. Maybe the legend of Gujarat, Mahatma Gandhi taught this to our family..." he added.